If the legislation passes the Senate - a move expected within the next week - it would establish the Tule Springs Fossil Beds National Monument on over 22,000 acres just north of Las Vegas. However, the monument would come with its own dose of destructive compromises. 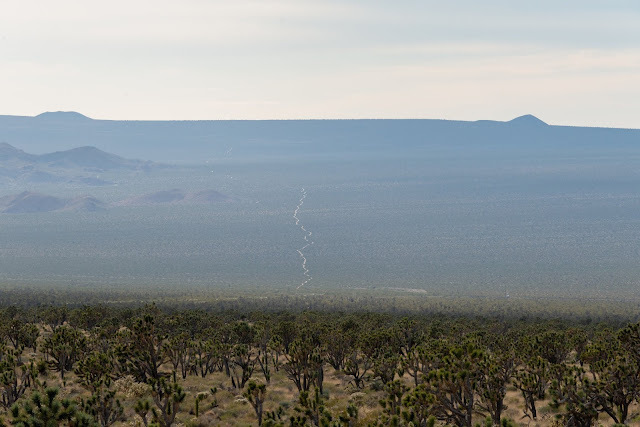 The bill directs the National Park Service to allow for a 400-foot wide right-of-way for future transmission lines and a 100-foot wide right-of-way for a potential water pipeline through the new monument. 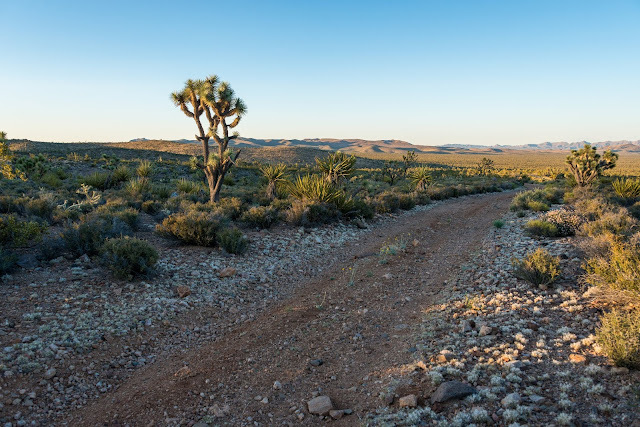 The bill also sets up the transfer of hundreds of acres public land to Clark County in the Ivanpah Valley in support of plans to build an airport there, just north of Primm. Although plans for the airport are temporarily shelved, Las Vegas is likely to revive the plans when McCarran International begins to reach capacity. Sunrise Mountain Instant Study Area Safe? A previous version of the legislation establishing the monument also included a provision that would have released over 10,000 acres of the Sunrise Mountain Instant Study Area for multiple use. Although the Las Vegas Review-Journal is reporting the current bill will do just that, it appears to me that this particular provision was not included in the version passed by the House. The Instant Study Area is essentially managed as a wilderness study area, and cannot be designated released to a "multiple use" designation until Congress makes a decision on its fate. At least two rare plants can be found in the Instant Study Area - the Las Vegas Bearpoppy and Ivory-spined agave. 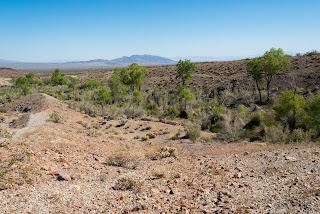 Continuing to manage this area for conservation can help preserve land on the eastern boundary of the growing Las Vegas metropolis for future generations to experience and explore. Zoom in or download the map to view the boundaries of the Tule Springs Fossil Beds National Monument, as well as the location of the Sunrise Mountain Instant Study Area (darker brown area in the bottom right corner). But the compromises included in the creation of the Tule Springs Fossil Beds National Monument are just the beginning. Other "conservation" legislation bundled into the National Defense Authorization Act will transfer even more land to private interest. Thousands of acres of public lands would be transferred to private hands in northern Nevada near Yerington and Fernly, including lands intended to facilitate the expansion of a copper mine. Elsewhere in the legislation are provisions that would terminate 26,000 acres of Wilderness Study Areas, and allow clear cut removal of old growth forest in Alaska. The bill also includes language that would streamline the permitting of livestock grazing on public lands by gutting environmental review. In return, Congress will designate approximately 245,000 acres of Wilderness areas, nearly half of which are already managed for wilderness quality. Of those Wilderness areas, 75,000 acres would be designated in northern Nevada in Lyon and Humboldt Counties.